1 Jennifer Teege Famous Sayings, Quotes and Quotation. Schindler crossed limits that he didn't need to cross." 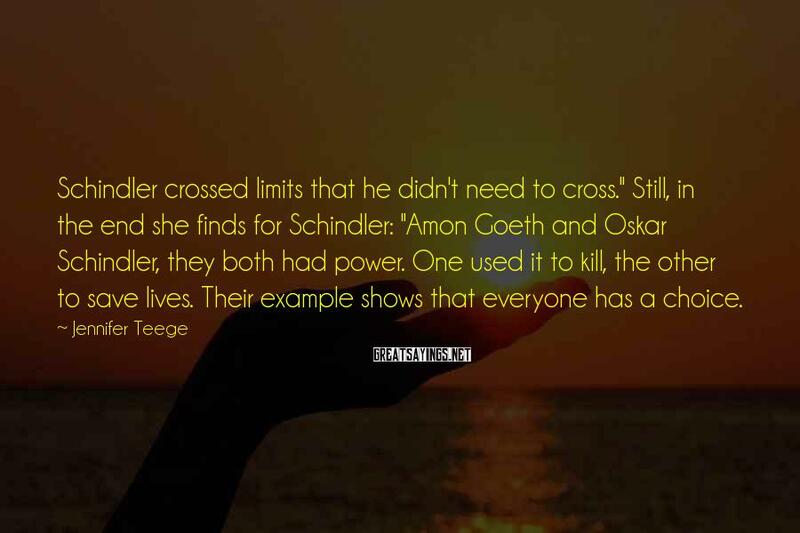 Still, in the end she finds for Schindler: "Amon Goeth and Oskar Schindler, they both had power. One used it to kill, the other to save lives. Their example shows that everyone has a choice.